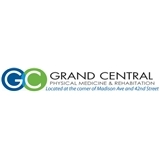 Grand Central Physical Medicine & Rehab (New York) - Book Appointment Online! We specialize in Physical Medicine, Orthopedic Medicine, Sports Medicine, Chiropractic, Physical Therapy, and Acupuncture. A significant focus of our practice is to teach you wellness care to prevent deterioration of your joints, spine function, and posture. WE ARE A TEAM OF EXPERTS In our goup we have exeptional healthcare professionals, including Board Certified Physiatrist, Board Certified Chiropractor, Licensed Physical Therapists. In our facility we also have Board Certified Internal Medicine and Orthopedic Doctors, Board Certified Podiatrist(Foot specialist) and Licensed Acupuncturist. Our multi-disciplinary team approach and a variety of on-site diagnostic technologies means you can get the tests and treatment you need without the aggravation of traveling to different healthcare offices. Dr. Dorina is the best doctor I’ve ever met in NYC! And also she is a very nice person! From the first moment I entered here office, I felt so comfortable.